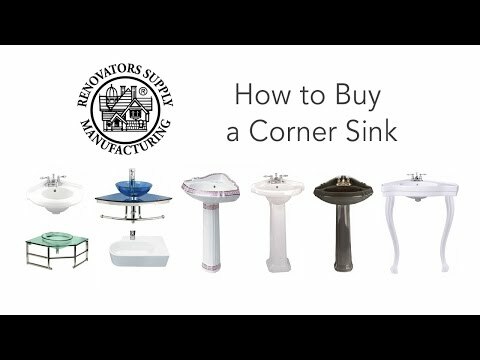 Purchase your Corner Sink here today. Renovator's Supply Mini Corner Wall Mount Glass Sink has the most compact MINI design with integral stainless steel towel bar and support. Its compact design doesn't sacrifice style or functionality, making it a great choice for bathrooms of any size. 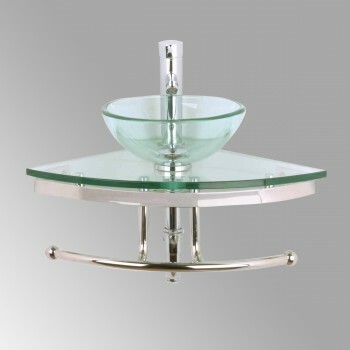 Includes chrome single lever faucet and pop-up drain. P trap not included. Measures 25 in. W x 16 3/4 in. along the wall bathroom sink. 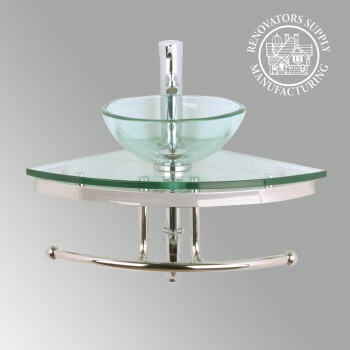 Purchase this hard to find Corner Sink here today. Item ID 10889.